His laughter resonates and shakes the cavern walls as his shadow casts across the valley floor. He is silhouetted by the bright light behind him, but his motions are clear as he raises his arms that grip the staff you have traveled so far to obtain. But the staff will not come easy. Arrows begin flying from your peripherals while numerous small sinkholes appear throughout the floor, quickly filled with Chilopodas who click their mandibles with high pitched sounds. Wish as much as you will to destroy your sworn enemy you will have to fight your way to him. 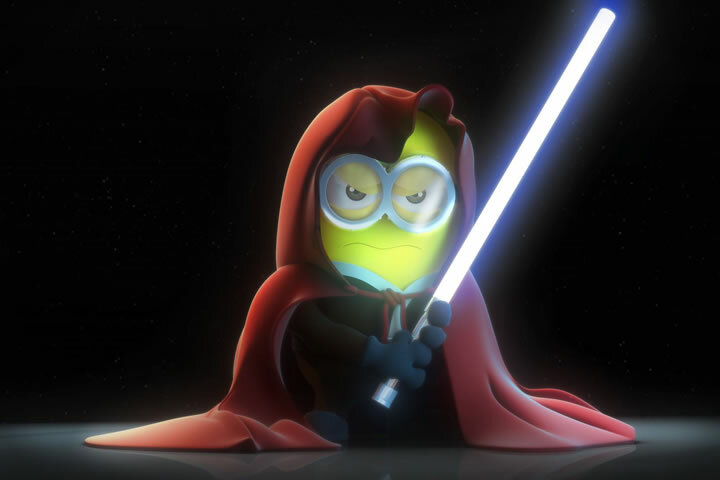 Do not take his minions lightly. For years I have struggled often with creating rich, engaging battles for my PCs that offer a challenge to them. Typically I can never go by the book (by whatever book I happen to be using) as players will find ways of making their characters a bit more superior to an equal stat monster or group of monsters. 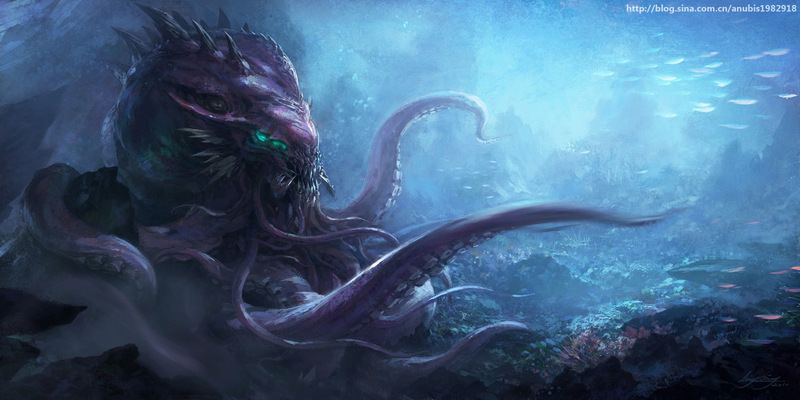 Although one system may feel confident that four typical PCs are an average match with one monster of the same “level,” when it comes down to it, there is one monster versus a minimum of four attacks. It simply won’t add up no matter how good you are at running combat. There was one feature in 4th edition D&D that I was impressed with: minions. The concept has been around much longer than when the books were released, of course. Typically a main villain would not/should not be alone in a final showdown with the PCs because, once again, 4 against 1 is not a fair fight no matter what the creature is. But up until the concept of implementing a 1 hit point system into a creature, GMs usually would simply pick lower “level” creatures. These prove to be pointless as the lower you go the harder it is to hit the PCs. At the same time, the statistical concept of the minion in 4th edition D&D is too weak as well. The critters might be able to land a hit with their bonuses, but their damage is insignificant. PCs would be able to ignore their attacks and focus on the main event. Personally I make it harder for the players when I run games unless they are completely new to RPGs. And one would say I am entirely unfair as well because I only adjust the hit points when making a minion. In Pathfinder, a Cyclops would be a CR5 with 65 hit points and have two attacks with his greataxe at a +11 and +6 for 3D6+7 points of damage and an AC of 19. This is an average fight for four 5th level PCs supposedly, though I highly doubt the one Cyclops would last more than 2 rounds with 4 players. However, if I were to include with that one Cyclops, 4 or 6 Cyclops, each with only 1 hit point but otherwise the same creature, then the battle becomes a bit more serious for the players. They now face 5-7 creatures of CR5, which sounds overwhelming, but at level 5, many of the fighter classes have around a +5 bonus on their rolls to attack plus any magical items, etc. Hitting an AC 19 isn’t too hard for PCs of that level. And, of course, a hit means autokill on the minions. Meanwhile the numerous Cyclops have a better than average chance of hitting the PCs. Each would have a +11 followed by a +6 to hit their AC, and by 5th level the fighters are probably well into their 20s. If a GM is rolling poorly, his odds of landing a couple of hits increases greatly with 5-7 rolls compared to using the 1 Cyclops with, say, 4 or 5 creatures around CR 2. And if the GM is on a roll that night, well the PCs are in for a fierce battle that might include healing for the night afterwards. Again, the goal here is to approach a combat encounter with a significant challenge for the players so that they aren’t too confident with each fight. Give them some doubt from time to time in order to keep them humble. Without this approach, there is potential of the players steamrolling through the game, which kills the excitement and tension. To further point out my unfairness, I don’t award full XP for minions (as is the same rules in 4th edition). Those minions in the book are significantly weaker than mine, and as a result, don’t yield the same reward. My creatures are the exact power level as their standard counterparts, but because they go down automatically with a successful hit, they aren’t around long enough to really have a chance for significant party damage. They may make it through one round, but generally they are all gone by the end of the second round. I only award a quarter of the value of XP for that character. This is true for any reward system in an RPG. In the end, minions are meant to be time killers. They allow GMs to bring out the big guns of the villain and unleash what they are made of. Quite a number of really nasty creatures have multiple special abilities, many of which never see the light of day because they are sometimes downed too soon. Again, pitting the one villain against four or five PCs isn’t going to let your BBEG last very long. 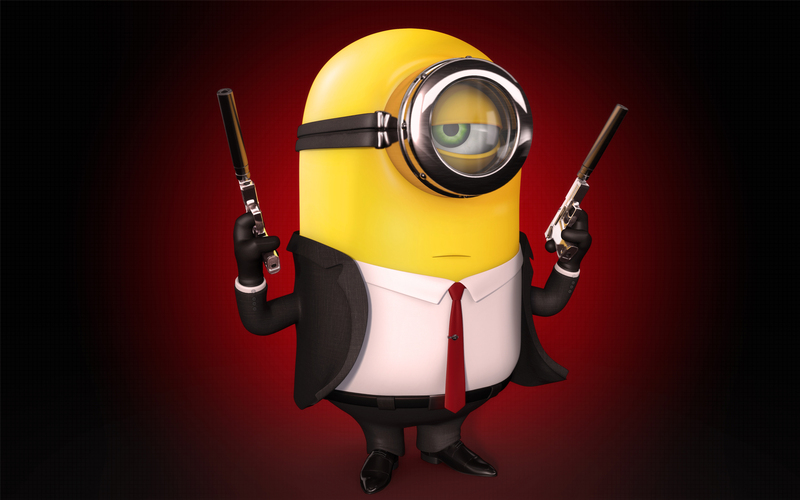 The minions are merely there to buy you one or two good rounds before the PCs start chipping away at the villain. But without their full stats, they just won’t demand the attention of the players. And this is very true for monsters. Creatures of intelligence or animal instinct will often ignore those they feel are not a threat until that target begins to threaten them. So bring about the attention of the other players and split their focus up to multiple targets. Keep in mind that with 1 hit point, those with multiple attacks or abilities/spells that can dish out damage to multiple targets will wipe out clusters of minions with one shot. So spread them out. If you are using mini’s or keeping track of distance, place your ranged minions either right at the maximum range for the PCs to make their move and attack in one round, or be devious and put them 5 feet beyond. Separate the minions by more than 10 feet so none of the melee attackers can wipe everything out in one swing. 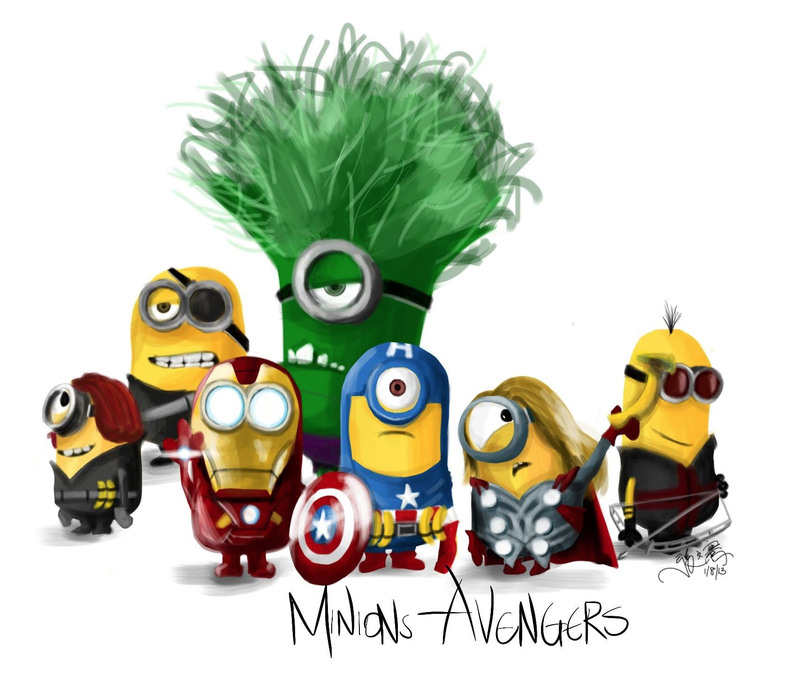 However, it is perfectly fine to cluster groups of minions together if you have multiple clusters. 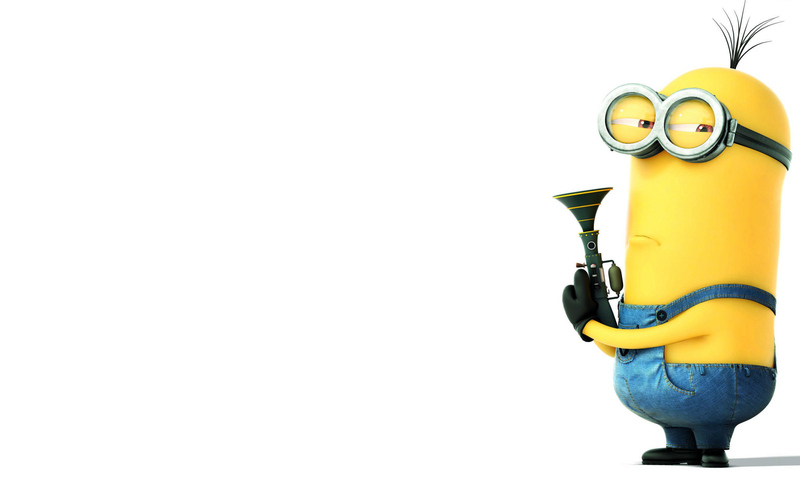 Treat each area of minions as a separate encounter. A PC moves to one spot and vanquishes the minions there before moving to the next area to kill those. That way you can give the players who love slaughtering through dozens of “weak” enemies like in the movies, but at the same time you are causing them to use up their action so the BBEG can attack. Shoving the door with your shoulder, it wedges open just enough for your skinny companion to slip through the crack. He forgets to be quiet and whistles in aw, which echoes off the walls of the large room inside. Someone has gone to the trouble of nailing furniture to the walls and ceiling, creating a strange sensation of being almost upside down. When you enter the room, the combined weight of the two of you causes the floor to drop suddenly down. It appears the entire room is shaped like a sphere with no 90 degree edges anywhere. The ball-shaped room quietly rotates and swings gently up and down to compensate for the sudden added weight before settling back down, albeit slightly below level. You wonder what the purpose of this room was as you try to make your way across, readjusting your step as the unstable floor continues to rock from your motion. Your foot almost trips over a wire, but it snaps to your strength. Suddenly the pivoting room begins to churn and rotate faster, despite your weight. The speed intensifies rapidly as you feel the force slowly push you down to the floor. Dizzily spinning, you realize you have but a minute to figure out a way out of this trap before the force will render you unconscious. Ah traps. GMs love to use them, PCs find them annoying. Yet they are such an essential part of a dungeon crawl. Although they can be found anywhere, they are always first thought of in some dark abode of a dungeon. GMs have to be cautious when applying a trap to their game. Too lethal, and you run a risk of a PC death or a total party kill (TPK). Too easy, and the thief is boasting about how simple the place is for the next hour. There are so many books about traps, some good and some bad, that a GM should have zero problems finding one to use. However, sometimes those just don’t fit the kind of place we are building at the time. What if we are out in the forest, but the terrain is very rocky? Or what if the forest is extremely thick to where you can’t see more than a few feet in front of you? That boulder trap isn’t going to fit very well nor will the snare trap work very effectively with all the vegetation. So let’s build the trap on our own. The first thing to consider is the most obvious question: how lethal do we want it? This is such a difficult question because we naturally want it to be dangerous and challenging, but GMs really don’t want to kill players on purpose. We love running RPGs, and with the PCs we would not have an RPG to run. So the next step would be to look at the character sheets and take note of all their health whether it is in the form of hit points or wounds or whatever. If the trap is leading up to something they have sought for, for quite some time and is highly important, consider shooting to take out about 25-30% of their health with a trap. Naturally damage will fluctuate depending on system, but we are talking slightly below a third of their health. That way, they could theoretically spring 3 traps and remain barely alive assuming no other ill fate befalls the group in that time. If the trap is going to be more of an inconvenience that sets them up as slightly wounded for the upcoming encounter, then only about 10% of the health should be necessary. That way they aren’t going into the fight fully healed, but they aren’t going to get wiped on a single hit. Once we determine whether to set the traps to stun or kill, we need to brainstorm the concept of what would fit in the particular location that is aesthetically sensible. For this exercise, I’ll go away from the traditional hallway dungeon as my environment and instead create one for a tavern. That’s right. For those who try to steal the extremely expensive and rare Blue Dragon Ale, they will have to face this trap of doom. And for this, we’ll shoot for the hazardous level at about 25% of their health. Traps we typically enjoy can be re-used if we set the damage to a percentage rather than a set number of dice. I like the idea of a panther being caged in the backroom of a tavern that no one knows about. The cat is almost always silent, and it moving through the tavern would be equally quiet. There would be no time for surprise from the thief. However, let’s keep the trap mechanical in nature and use a combination of the spring-loaded blade and the trapdoor as a secondary trap. The blade is going to be hidden under the counter top, so unless the bartender is either a giant or a Halfling, it will be around 3 feet off the floor. This would hit most targets below the belt, somewhere on the legs. Realistically this would be good to keep the 25% health in mind. It might cause them to lose a leg until magical restoration. We could make it more lethal by adjusting the locations of the bottle. If it is sunk into the ground under a small trapdoor, the perpetrator would be kneeling to reach down. A blade to the upper torso is far more lethal, even if you are just counting hit points. The trapdoor could be wide enough to fit an adult human, suspending a small board for the box containing the bottle. 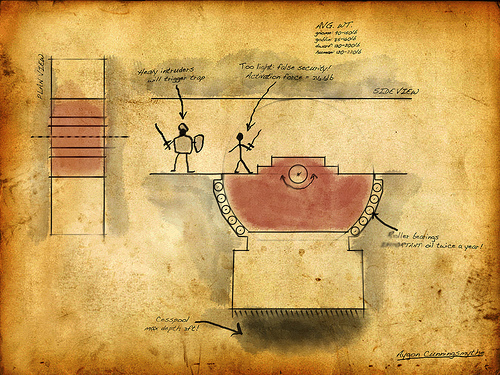 The blade would be the first part of the trap, but the second part would be after succeeding in avoiding it. Dodging the blade on instinct doesn’t usually bode too well for their environmental surroundings and they simply dive in a direction away from the danger – in this case, the trapdoor in front of them. Cover the acid with a sheet of cloth to hide what’s below the platform might catch them off guard as they will smell the acid but not identify its location. I seldom see double traps, but I try to implement them into my games. They are essentially a GM’s “Plan B” to the easily succeeded trap avoidance by the PC. There are ways of combining two or more traps in succession in order to cause more chances to fail. For example, the box containing the bottle might have the animated zombie head that attempts to bite the thief and inflict its disease into him. Avoiding the creature by moving their hand out of the way quickly, bumps into the hidden trigger that sets off the thousand needle trap, imbedding tons of little prickly spears into them. Either put them in a situation where moving is one option to avoid the trap, or give them an ultimatum to which neither are great choices. Not all choices they have are going to be ideal. Sometimes they are just going to get screwed, and they have to decide which kind of screwing they want. The chandelier is falling, but they know the only direction behind the bar they can go is across the open pit of acid that they now have to jump across. The giant mousetrap for humans doesn’t pin them down but launches them across the air and into a shelf which contains a jar of venomous scorpions. Don’t be afraid to give them the 1-2 punch when it comes to danger in a game. Just because they avoid one bad situation doesn’t mean they can’t go through a gauntlet. You can even have a trap within a trap. You’re standard spiked pit trap could be spring loaded, sending the victim back out of the pit, which is great, but the momentum points them onto a few sleeping manticores. They must try to twist their body like Super Mario to alter their trajectory or try to land on a single tip toe between the sleeping beasts and acrobat through their momentum beyond them. Traps are great for railroading unsuspecting PCs. If you make it look like a trap but include a difficulty that is highly challenging, it will look more natural. That collapse in the tunnel that makes them turn back, the explosion in the forest that collapses trees, a sinkhole that opens to another tunnel, spilled acid from a cauldron that opens up a new path to temp an alternate route are all possibilities. Sometimes temptation is a great way of diverting the party in the direction you want by placing an obvious trap that is in their way. They can try to disarm it, but it will be extremely taxing and time consuming. Meanwhile they notice another route in a slightly different direction. Feel free to make traps that are more as an oddity than a conniving weapon. For example, the floor gives way to the party falling into a cage below the surface unharmed, but it is suspended above a huge pig pen. Other cages are suspended with victims in as well; giving hint there are numerous trapdoors in this complex. Cages begin to lower into the pig pens one at a time and are opened to starving pigs that begin gorging on the other victims. Their cage never lowers, and the roof of the cage remains open to the tunnel they were traveling in. It is merely a visual of what might happen in the future if they aren’t safe. Another situation could be a door that triggers a lock, keeping them trapped inside for a few minutes while a mechanical puppet show springs to life in a nearby nook and tells the tale of the history of the abandoned palace they are exploring. Make PCs feel they sprung a trap, but you don’t have to always make it damaging. You find yourself following a series of twisting corridors barely illuminated by your dying torchlight. It’s been nearly two hours now of walking on the cold, stone floor, and you begin to feel the stiffness in your knees. Most of the doors have been locked and barred from the inside. With no means of entering them, you have been forced to press on. However, you have heard whimpering behind each one, and the constantly increasing number of barred doors has made you start to wonder about things. What could be behind them? Why would denizens of a dungeon keep themselves secured inside so many rooms? And what is causing them to whimper? The questions are immediately erased from your mind as your last torch begins to flicker its final light, and the sound of hundreds of high pitch clicking noises enter your ears. There is movement up ahead, but the light is faded and gone, leaving you in the darkness with the source of the sound. You’ll soon find out what is making the noise, but then it will be over. There tends to be a fairly decent separation between RPers: those who began playing RPGs in the 70s and 80s and those who began playing in the 90s and 2000s. I have met enough gamers in the last 20 years to convince me that this holds true. The style of gameplay, the focus of the adventures (especially published modules), and the setup of each encounter has changed drastically. Dungeons have grown smaller with notable occurrences much closer together than before. What was once a long, winding series of tunnels that eventually led to a room are now more compact, almost as if they were written for short attention span players. Encounters are the most significant change. 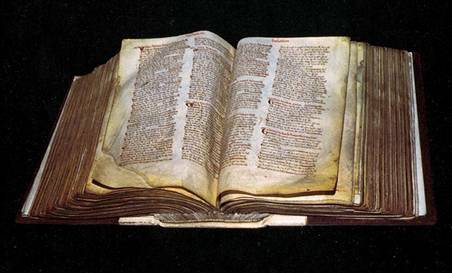 It once was expected in a description to have a block of text to read to the players, describing the situation followed by some notes for the DM to be aware of. Although some of that remains, the larger publishers out there who produce miniatures focus the fights more on strategy and utilizing their full-graphic battle maps and pre-painted miniatures. Of course, it’s a smart move financially as you want to promote and encourage consumers to purchase your entire product line. These features can enhance or clarify situations that otherwise might become cloudy. More modern RPGs have a more tactical approach to combat. There are more rules for combat these days that try to answer every situation and provide all forms of maneuvers. It can add more visual elements to the table and more flavor to the excitement as the fighter no longer simply swings his sword but bull rushes against the opponent, sending him over the cliff’s edge. Traditionally, the earlier you go back in history of RPGs, the more the game is focused on developing the scene in your mind. Although it still holds true to today that the game’s core concept still resides in the mind for the most part, there are now elements that take away that need for imagination such as the use of figures on the table. Twenty plus years ago, the game relied entirely on great storytelling to make sure everyone had as close to the same understanding of what is going on as the other. Naturally there were times reiterating the situation was necessary in order to more clarify and paint the mental picture better, but for the most part, everyone tended to enjoy their own version. We generally prefer to play the games we were first exposed to. Playing for years in 1st edition AD&D, one might be less inclined to playing Pathfinder for very long. There is a more comforting feel of a game that we are familiar with. I prefer dungeons that are long, drawn out. I keep track of things that other DMs may not such as torch and lantern life. 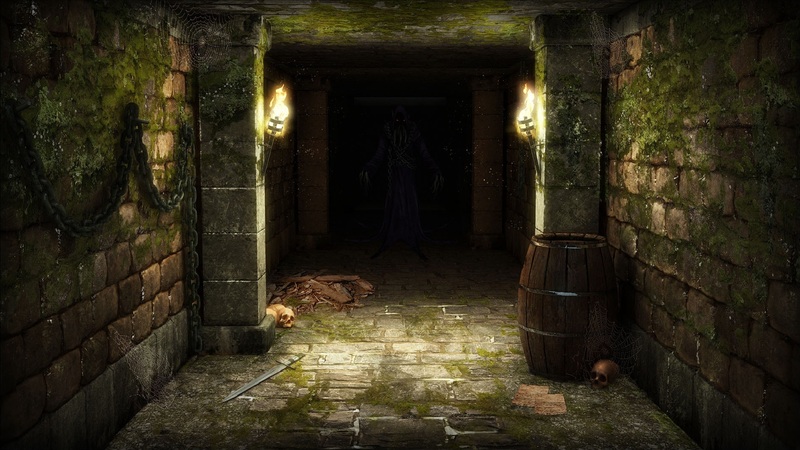 However, more traditional dungeons sometimes take a different approach in order to keep the pace going as the corridors can stretch for considerable length and have numerous turns. A single level filling an entire page of notebook paper is not out of the question. If you have stuck to more modern dungeons and are interested in trying to bring back a more traditional style, there are a few things to keep in mind. Don’t describe things in 10 foot intervals. Nothing can be more boring and dragging than to say, “You continue down the corridor, traveling 20 feet. Up ahead the corridor continues another 40 before turning to the right. You continue down 40 more feet. The hall turns to the right 90 degrees. Up ahead the corridor continues before making a left.” This proves nothing except point out the corridor continues on for a while. There is no need to go into that much detail when talking about a dungeon unless something is important such as an encounter. 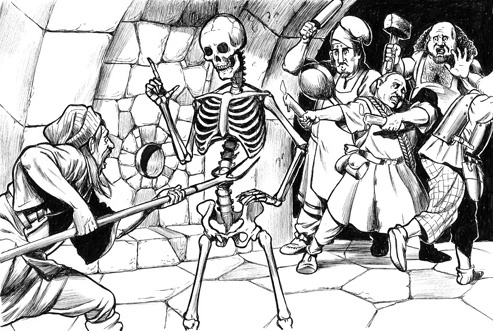 In long years past, the thief was the leader in a dungeon, checking for traps every 10 feet to assure the rest of the party doesn’t succumb to a fatality. It is a terrible idea to have the thief check every 10 feet. Broaden the scope of checks and allow for an entire corridor to be checked. It goes with rooms as well. Even if the room is tremendously large, the roll should be about finding traps and not based on the size of the room. Instead factor the time it takes to search the entire room and calculate any chance for random monsters if applicable. Keep the game moving. Structure your dungeon with logic. This is a big change in the evolution of dungeons over the years. One could almost deduce that the architects of dungeons 20-30 years ago were all completely mad, creating illogically laid out dungeons that made zero sense. The monsters roaming around would soon die from lack of food and water unless the place had a steady stream of adventurers, to which would mean that the odds are against the monsters surviving every party. Every dungeon does not have to be filled with just monsters. Roaming creatures that are harmless but are meant to be food for predators can not only make your dungeon more believable but give more realism to the experience. I often will throw the old “cow’s eyes” trick on players where their lantern sees 2 glowing eyes in the darkness outside their lantern’s light. Nine times out of ten they fire an arrow at it because they are spooked. Then they discover it was just a cow. There can be kennels, stables, even special grazing dens for herd animals. Yes, herd animals can be in dungeons. Rooms can be large enough for grazing, and as long as there is some form of light source somewhere, life, uh, finds a way. Natural lighting can come from a hole in the ceiling high above like a cave, or there can be magical means from an old permanent spell. Perhaps the vegetation itself casts light that aids in other vegetation to grow. Every living creature must sleep at some point to regain strength. Therefore they all must have places of rest. The more intelligent the creature, the better the accommodations will be as they appreciate comfort more. Be creative in sleeping quarters for monsters that are not bipeds. Don’t just make them sleep on a pile of hay. Maybe they sleep on a pile of warm coals that are heated by lava far below but is just far enough to be toasty and bearable. Some could sleep in a hammock that was abandoned years ago by someone. Wood crates that are opened at one end could be a nice nook for a creature to cozy up in. Flying creatures might have rings suspended from the ceiling to roost on. Dungeons don’t always have to have a plot to exist. There usually is a reason for every dungeon’s existence, but there doesn’t have to be an actual plot. 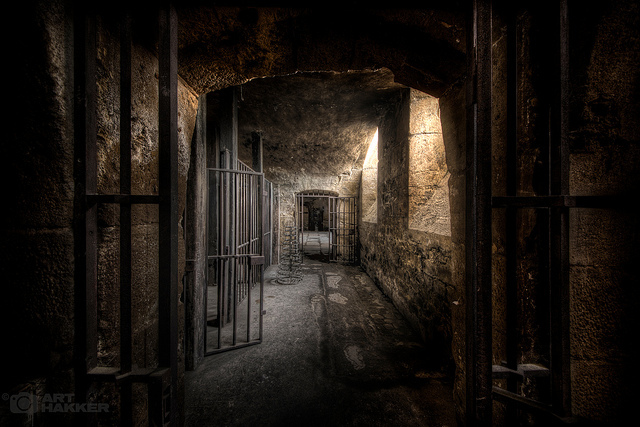 There might be small situations such as a prisoner wishing to escape but has nothing to do with the overall scope of the dungeon. More traditionally, dungeons are built to protect something or someone or just torment adventurers. They are fortresses in a sense because they are there as an obstacle. 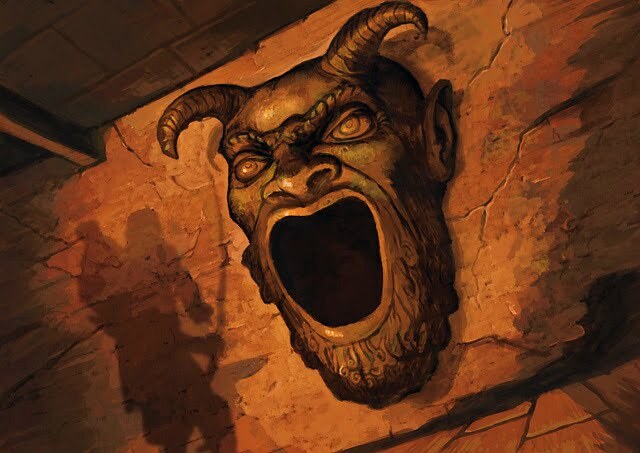 Players may simply stumble upon a half-hidden door in the side of a mountain or even a small sink hole no bigger than 3 feet in diameter in the middle of a forest clearing that leads to a colossal dungeon. They can be more of a grab n dash where the purpose is nothing more than to clear out the monsters and loot the treasure. Plot can exist, yes, but create the dungeon to the plot itself if doing so. For example, if the players must discover why archaeologists have been disappearing from a cleared out dungeon, build plenty of rooms that are half-excavated with proper tools lying about. Provide fluff such as journals that discuss the history of the structure they are working on. It can slowly unfold the plot of what is causing the disappearances as they learn more about the place. If the plot involves a beholder who is coordinating assassinations on a nearby town in order to wipe out a family line prophesized to slay it in the future, provide rooms that demonstrate the various eye stalk powers and spells as a hint of what is going on but offer confusion as to the source. Keep things moving. Unless there is a door, trap, monster, or split in the corridor, move things along. Describe it as a whole. For example, “The corridor spans about 100 feet before making a series of turns, left and right, with seemingly no rhyme or reason behind it. Finally your walk ends at the beginning of a stretch of doors on either side of the corridor, all made of wood and lined with old iron.” Even that was too long winded. It is important to give them the mental picture that the dungeon twists and is maze-like (if it is), but the overall movement goes from situation to situation. Try to keep your dungeon at least 60/40 with interesting rooms. Empty rooms can be rather boring, but sometimes they need to be to keep the meaningful rooms more meaningful. 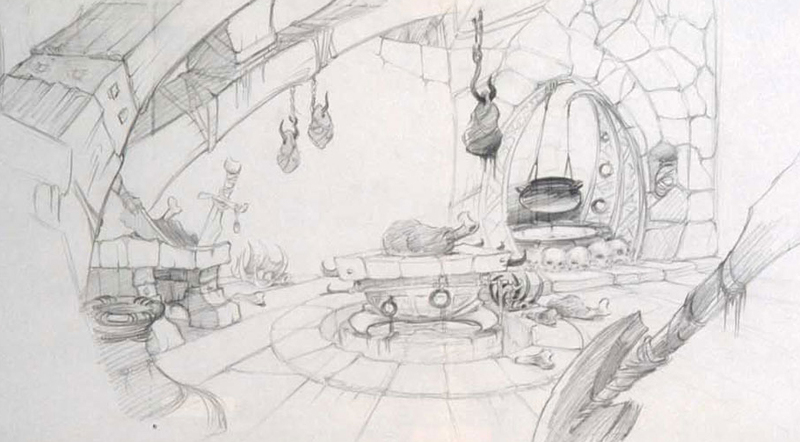 These empty rooms are not truly empty; they are there for the logical side of the dungeon’s structure such as sleeping chambers, eating quarters, storage rooms, or even a latrine. However, don’t overdue one or the other or the value will be lost. I generally like to provide 1 meaningful room for every 2 empty rooms. I also won’t hesitate to make one of those empty rooms have something meaningful hidden within such as a secret door. Players will begin wondering if they should pass the room up or investigate further. Utilize unique rooms wisely. It is tempting to throw all of your aces into each room the players come across. Especially when the creative juices are flowing, we have a book full of great ideas to entice the players. However, it is important not to saturate the dungeon too much or else the flair will be lost. 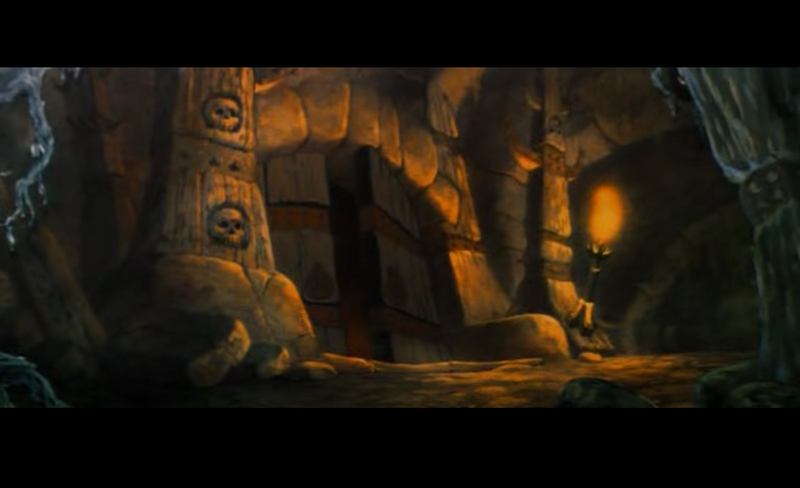 Unless the dungeon is in the style of “Through the Looking Glass,” which players are expecting everything to be off-the-wall unique, use them sparingly. Don’t worry about thinking outside the box in your more traditional dungeon either. It’s okay for one room to be a reverse gravity arena where everyone is on the ceiling or a living tropical jungle that spans several miles in every direction. Make part of the dungeon multidimensional. Just make sure there is a proper balance, that there is some constructive thought behind your placement and not just random chaotic crap. Give your players enough room. This actually doesn’t matter if you are using battle maps with miniatures and modern rules or exclusively classic rules with just the imagination. There is still the need for movement. Sure it is fun to wedge your party into a narrow area and pit them up against a challenge that requires mobility, but in the end, it becomes cumbersome to manage. At first there will be the sense of dread as the players realize their traditional method of fighters dancing around in melee while the rest move for cover in the back won’t work this time. As soon as that realization wears off, it still has to be dealt with. It’s very uninteresting (not to mention too fair) if one player is forced to take the entire blunt force of the opposing enemy simply because the design of the place is inadequate. It is okay to put them in tight situations, but give them opportunity to have some freedom. Don’t constraint them to the point they might as well be fighting out of cages. The game is about allowing players to do whatever their characters can do not tunneling them down a glorious vision the GM dreamt up. If you are using battle maps, blow the entire place up bigger than you think. A 3×3 room may be a nice 15 foot wide space, but when the miniatures take up 1/3 of the width, it becomes tight very quickly with 3 or 4 in there. Let the players and monsters dance a bit. Don’t let players map your dungeon out. This takes forever. I’ve mentioned this in an earlier blog months ago that falls into pace. No one in their right mind is going to bring pieces of paper, quills, and ink with them on a dungeon excursion to document every turn. It’s highly cumbersome to begin with. There are no cartridge pens in a fantasy setting. Future settings would just use some kind of a GPS system to coordinate it all out. Using quill and a bottle of ink requires a table. It’s not something you can stop and press the paper against a nearby wall and dabble the quill in ink then proceed to draw it. Not to mention that graph paper didn’t exist either. Adventurers are there to explore. If the players get lost, have the one with the highest wisdom deduce backtracking. Recommend the players use landmarks or even simple notations such as an unusually large crack in the wall near a juncture in case they do have to retrace their footsteps a bit. These are just suggestions for dungeons, and the suggestions could keep on going such as making dungeons more narrow and vertically oriented with the risk of falling through the floors. Perhaps keep the initial dungeon relatively small and simple with dimension doors that take players all over the world to explore part of a ruin or a few rooms of a sunken temple before finding an important clue and returning to enter another dimension door. The point is in this entire article is that we need not commit ourselves to just one look or line of RPG. Our comfort zone may be in one edition or another, but opportunity abounds as long as we keep an open, positive, and willing mind to keep exploring. Traditions and modern concepts need not be kept in separate cages. Dig out the books you’re not used to using to find new inspirations. Give yourself a chance to look into classics that you didn’t think was possible or interesting before simply because it didn’t feel right. Nostalgia might always be nagging at you to go back home, but don’t let yourself miss the chance of discovering what’s over the next hill. 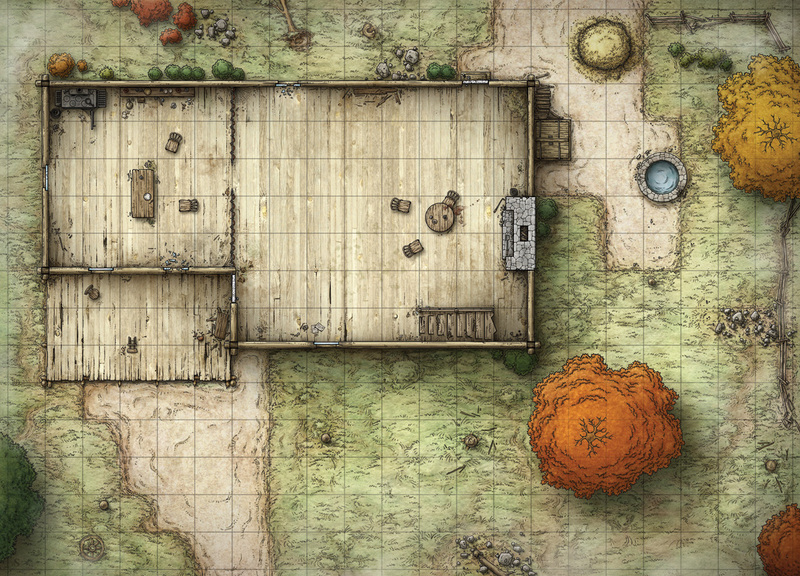 The morning sun rises over the horizon as you and your party stretch and walk out of your homes with the start of your adventuring career moments away. You fumble with your gear, feeling the awkwardness of strapping on armor for the first time or the density of the oaken staff in your hand. With a glance around, you silently bid your hometown farewell as you know dreaming of returning is moot. It’s as if you sense……suddenly soaring above the treetops, screeches from two black dragons fills your ears and turns your blood cold. 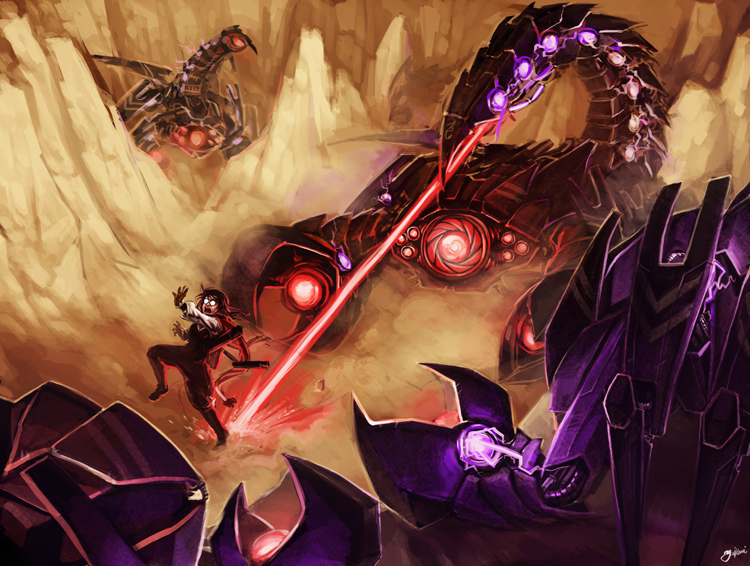 Panic fills your nerves as you scramble to get with your other companions in hope of fending off the oncoming enemies. Yet you can’t help but wonder, why are we pitted up against this level of creature at 1st level? Many GMs, especially newcomers, fall into a strict set of guidelines in running a campaign or adventure. The party is about this level, so they should be facing the monsters in this list. The rules state that a player is not allowed to do this, so I’m prohibiting the players from doing so. It’s always been done this way for decades since D&D was a gleam in Gygax’s eye. It really is time to learn how to be a GM and shed the cloak that has navigated our creativity and methods for so long. What in the world am I meaning? We can do whatever we want as GMs! But do we? Do we throw adult black dragons at the party of 1st level characters? No, of course we haven’t because they would be killed before they had a chance to attack, and they wouldn’t be able to shed any damage off the dragons….right? Why is it that creatures have to be used at appointed times and not any time? 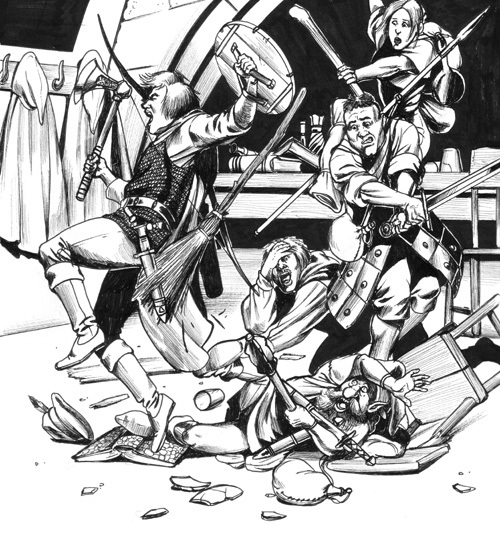 I believe often times GMs get either lazy or overwhelmed by the notion of altering situations to better fit the party. More and more rule books are standardizing how each encounter is supposed to be run. 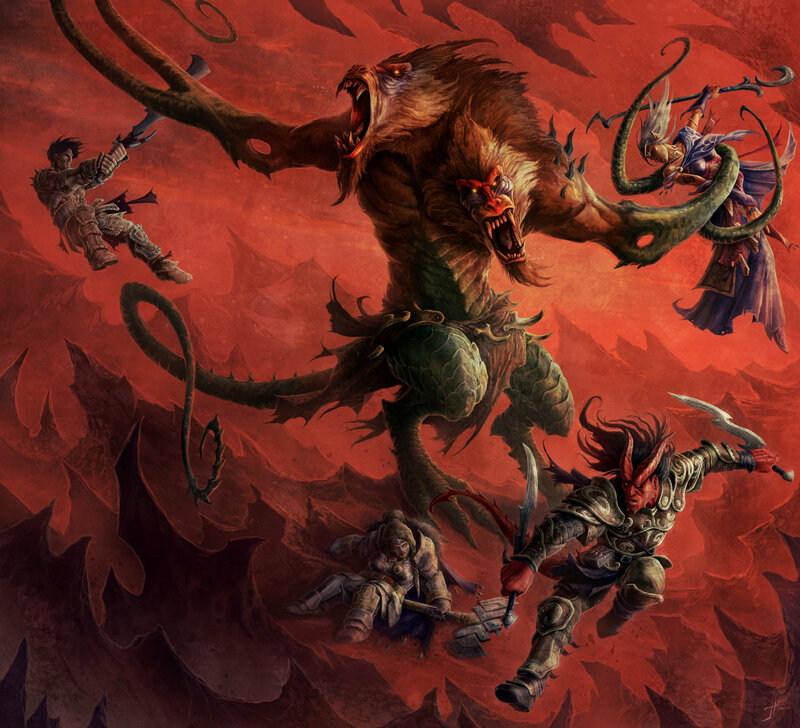 That manticore looks like it would be a great encounter for the party….but it’s 6 “levels” higher than the group so that’s out of the question. So are we to just allow these sourcebooks dictate everything? They encourage us to make the world our own….within their guidelines. The important notation is that nearly all of them say at one point or another to alter anything in the book to fit our own playstyle. Anything! And yes, we commonly have home rules that we incorporate that adds to our system, but seldom do we really make serious alterations because….well….we paid $50-60 for the book. What’s the point if we are going to just end up writing it from scratch? One of the most enjoyable features I like implementing into a campaign is the concept of the world being alive and vast rather than built for the players. I don’t place a dungeon near where they are that is built for their level because the world becomes a convenience for them and lacks life. Sometimes you wind up in a bad part of town where you shouldn’t be. You get into situations that are dangerous. Life isn’t built for you; you are built to adapt to life. Whether that is to fight, negotiate, or run away, it is up to you to recognize the situation and make the choice. So sometimes I will create a campaign that is just like that: dragons can appear at any time or the party may stumble upon a ruin filled with creatures far more powerful than they are, yet they have to get inside to a tomb to get an amulet. This isn’t something I surprise them with because they would be killed in seconds. I always write up a document that explains the various nuances of the world, races, acceptable and unacceptable rules/features, etc. They are fully prepared to approach every situation with caution and judge the situation as they see fit. It adds much more realism and tension with the players knowing that the world is a deadly place not catered to them. You could adjust the difficulty greatly and still have the freedom to present anything you want to the players, regardless of level, by adjusting the world to fit the players. This is definitely something new GMs should not tackle because you are essentially stripping down monsters and challenges to accommodate the players. For example, a dragon might have two claw attacks, a hind leg attack, a tail, their wings, and a bite before blasting their breath weapon. Instead, the creature could have severely lowered damage, say, 1D4 on all attacks, and no two attacks could be done on one player each round. Special abilities such as paralyze could simply be removed or altered to last only 1 round. Creatures that fly would hover low enough off the ground that melee with long weapons such as spears and halberds could still attack, giving reason to carry more unique or less common weapons. The trick is to not fall in love with a creature so when you are trying to strip it down to a suitable level, you aren’t wishing you could keep a special ability because it’s cool. 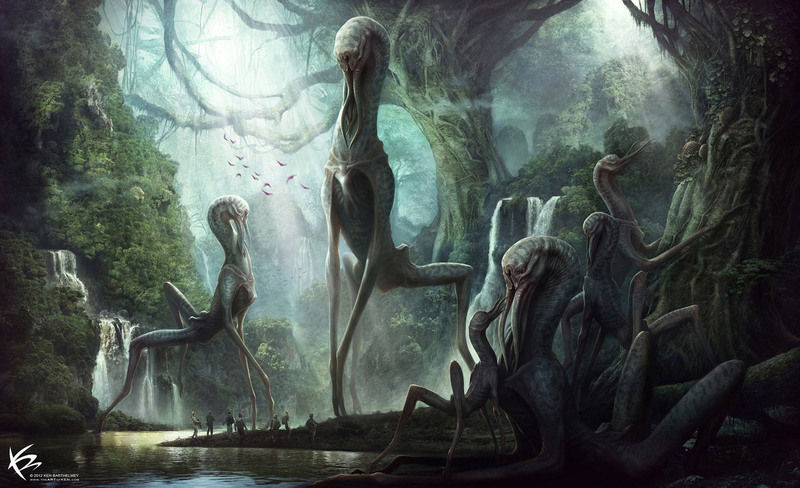 Introducing creatures at different times of the campaign will add spice because players are somewhat expecting certain creatures at certain times. Kobolds and goblins right off the bat, beholders, liches, mind flayers, and demons toward the end. The point is don’t allow guidelines guide you too much. Remember back when we were kids and the rules neither mattered nor made any sense and we just played what we enjoyed? We have to follow rules every day that structure our lives, which is why we love role playing games so much. We can break away from the classifications, categories, restrictions, procedures, protocols, and laws in order to truly do whatever we want. Keep your players in the know of what your intentions are without saying you are fudging the dice or nerfing the monsters. Explain that you are implementing a living world where any creature is possible. While you are unable to mix and match lethal versions of a dragon with tolerable versions (they wouldn’t know whether to run or not until it was too late), both options are available for campaigns. Now I understand there are games out there that already have this in mind such as Dungeon World. However, their game, although extremely enjoyable, can also be terrifyingly lethal. It has the same mentality as mentioned earlier in that the world is a dangerous place, tread lightly and don’t assume you know the creatures in a meta-game view point because you don’t. 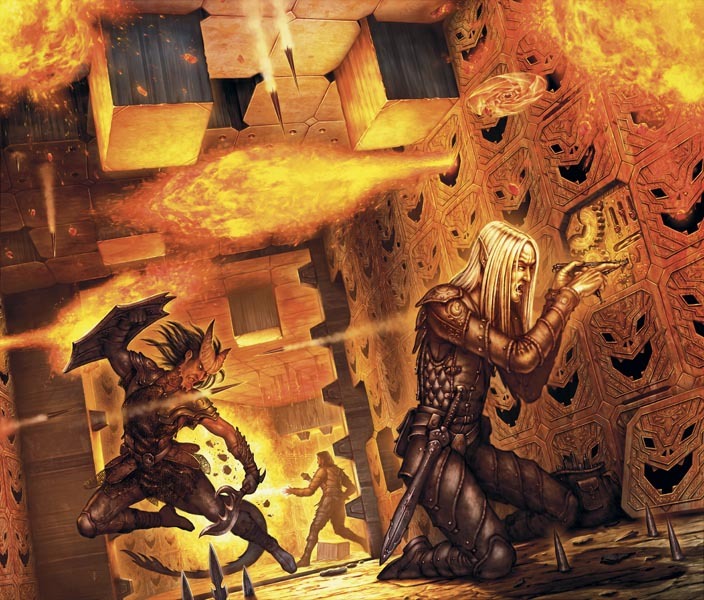 With Dungeon World, literally anything can happen at any time, and the game encourages the more fantastical situations than tradition. Whichever you decide, make sure you are running the game according to your plan and not the plans of others. Take what you will as advice, guidelines, suggestions or the like, but keep in mind no one outside of your game room gives 2 craps to how you run your game. You aren’t out to satisfy Paizo by running their game by the book because no one at Paizo cares. At all. These are all merely suggestions as well and not law because it may not suit your playstyle. Perhaps you prefer the structure of a particular ruleset. If that is the case, go crazy with it and enjoy. However, sometimes repetition for too long, even the things we love to do, become stale and demand a sprinkling of change here and there. The display panel erupts to life, illuminating the pitch black room with a dazzling array of holographic images moving about. You concentrate on one, a sphere representing a world that you have looked for in hundreds of galactic charts for decades. All of the information gathering, the countless hours asking questions of so many, tracking each one down, not to mention the exceedingly difficult task of acquiring the databook that almost cost you your life. 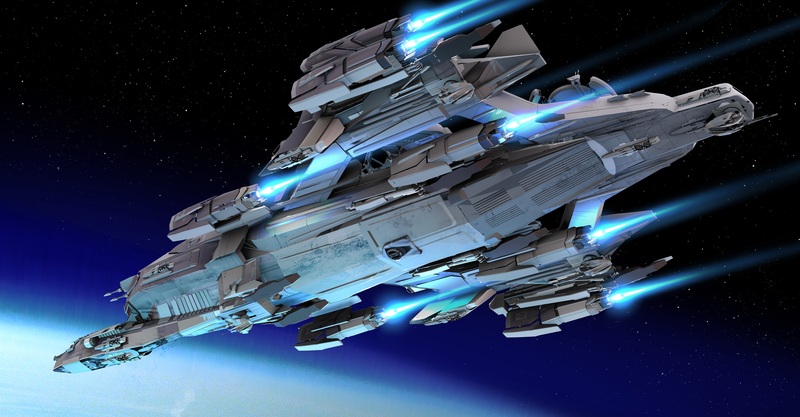 You hope it all was worth it as you send the coordinates up to your ship and order it to begin calculations for hyper space. Clicking the display panel off, you flick it in the air and catch it on its descent with controlled anxiety and excitement. Gerosh IV, here you come. Sometimes having too much material for a GM is too overwhelming and becomes a major issue in campaigns or adventures. When we are limited to something more confined, such as simply a tavern or minor outpost, although we could design those areas basically anything our imagination will convey, we still have a sort of tunnel vision at times as we perceive just a narrow subject such as a single building or small dungeon. We most likely won’t worry about the effects of a bog or how a blizzard would render a party vulnerable if we were working on a small dungeon under a castle. But consider the possibilities of how much data can be conceived when you create a world! It could have literally anything imaginable within its realm. Anything! A portion of your planet could be a void-like space that has small spheroids large enough for colonies to thrive upon and rely on air ships to travel. The entire planet could be pure lava with hovering rock formations that are bridged by, shoot, elephants that are gripping the tail of the elephant in front. Granted, you could say the same thing with something relatively small such as a single city building if you go to the extremes of the imagination in design. However, it is the amount of information to create that can be overwhelming. 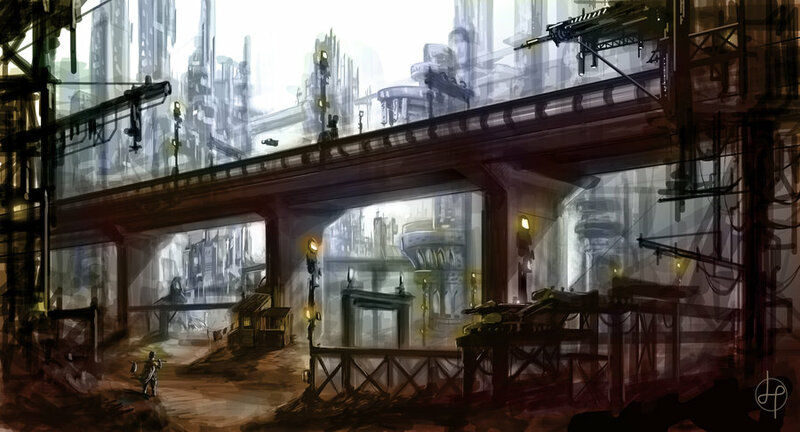 Take a science fiction rpg for example, such as Traveller. Now it goes beyond just building your world. It becomes the monumental task of creating….a solar system? A galaxy? You’d have to take into consideration the demographics of the inhabitants, flora and fauna, weather patterns, geographical features and layout, economics, politics, social formations, festivals, religion, and its history. Some of those listed may not be relevant enough to include in your campaign, but even one of those can be a daunting task. I’ve talked to so many GMs who will mention how each time they set out to tackle world building for their campaign, they work effortlessly coming up with specifics such as names of NPCs, city structure, buildings for an important town, and surrounding monsters typical for the areas. But soon the foreboding of repetition begins to sink in as they slowly realize the amount of work they poured into pales in comparison to the amount of work left. What started out as a weekend project has now proven to be a yearlong endeavor filled with drudgery and lackluster enthusiasm. So, what?, GMs should just forego all world building efforts and wing the entire ordeal? I’d enjoy seeing you try and not exhaust your resources at some point. There are essentially two methods of world building, beginning on a macro level or micro level. Different strokes for different folks in this case. You will find your comfort zone taking everything in as a whole to begin with (establishing cosmic entities and ending with small settlements), or beginning with a single planet (perhaps a galactic central capital) and working outward. For beginners, I would highly recommend taking the macro to micro approach. Otherwise you won’t get very far with so much area to cover. I would first settle on just a minor solar system, perhaps of 6 planets total. Approach it from barely a macro level by creating the names of each of the planets and a brief description of the type of planet such as terra-like, gaseous, greenhouse, molten, or frozen. Next, think about the most appealing type of world and the possibilities within. That should be your last planet you develop because it will be the easiest. Your enthusiasm on filling in the details is strong enough that it will carry you through the end. Instead, pick a planet that you aren’t too wild about but know it will make for a good adventure or two. Perhaps all of your ideas are the greatest thing ever and you are beginning to feel that sense of overwhelming odds trying to come up with enough material to fill a solar system. One suggestion is to either buy a single Composition notebook and put the planet’s name on the front, or open a Word document saved as just the planet’s name. Nothing else really will go in here other than relationships with other planets that might involve things like trade. Otherwise, stick with just that planet. Ignore the others and treat the planet as a campaign that is still in its infancy years of intergalactic space travel. Even if your planet you are working on is extremely advanced and uses teleportation to other planets now, concentrate just on the planet’s life for now and leave that to the end. You can use that area as your transition to the next planet. Don’t go crazy on details yet. Just brush your planet out in general outline format. List the various races found on your planet, give some general idea if there are typical animal groups on the planet or if there are any missing (no water so no fish, for example). If there are multiple politics within the world, list them, but don’t worry about assigning them yet. Finally, give a moment to consider if your planet’s population is either barely filled or overcrowded or in between. At this point, put the pencil down or push the keyboard away, and close the book/document. It doesn’t seem like you did much, but the planet is essentially set up. You have already described it earlier what type of planet it is, and no you have the basic concept of that planet. Leave it broad and vague so it hopefully sparks some imagination and creative ideas when you return to it. Get the rest of the planets established this way, ending with that one you were craziest about. Again, with its own book or document, approach the planet one adventure at a time instead of a global entity. Don’t bother creating the huge, complex city on the other side of the planet if you are going to run the session in the frozen mountains 2000 miles away. Write a one-shot adventure for your planet. It’s a more comforting feeling because you are eating the elephant one bite at a time. You know how to make a one-shot. Do your typical methods by establishing whatever you feel is necessary as you work on it. Set aside an area in your book for planetary information on a global scale. When you write something in your one-shot that reflects a macro viewpoint on the planet or large scale, make note of it in the planet information such as the planet experiences earthquakes frequently that causes enough reverberation that their technology is powered by the vibrations. Use a highlighter and cross over individuals who are famous or noteworthy. Start a list in that book of those people, giving a 1-sentence description of the person and the page number they are either first mentioned or first described. 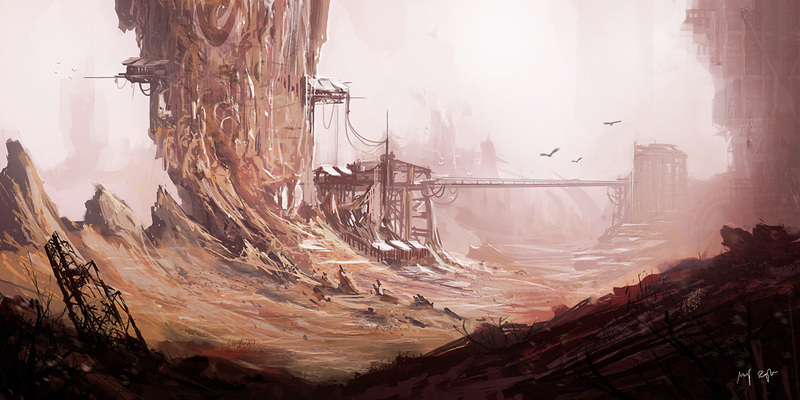 Once you have your one-shot adventure wrapped up, go to the next planet. It is important not to saturate your planet too quickly with information to avoid fatigue or boredom. Keep going from planet to planet, even in a particular order, as you cycle through and develop one-shots. You will find that the information you come up with for your one-shots will greatly reflect and affect your world-wide system. On your journey through world building your first solar system, begin making a point to either have a recording app on your phone or bring a traditional pocket notepad and pen for notes because you are going to have them all the time. If you are finding yourself struggling to come up with information on your planet, try searching online for novels or short stories that use the specific planet you are wanting to develop such as a greenhouse planet. It may seem obvious, but watching science fiction movies, especially the cheesy ones, will spark your imagination and rekindle your passion. Keep everything organized. You will need to be OCD in this area simply because the amount of information you are going to eventually collect is staggering. Overestimate. Stick tabs on your notebooks, make bookmarks in your documents, or go full regalia and purchase database world building systems like RealmWorks or something more traditional like OneNote. 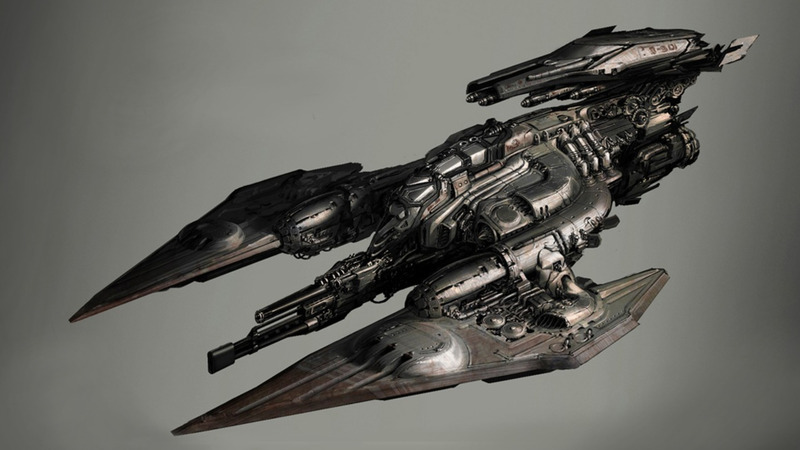 Also, take an hour one evening surfing Google Images with sci-fi pics, and save as many as you can that look appealing and interesting into a folder. Again, try separating them in a logical method such as planet type, biped or animal, artificial or biological, etc. 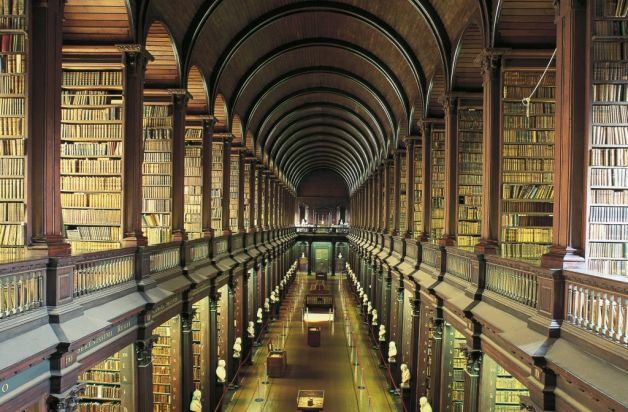 This will be your library of inspiration when you need it. Imbed the images into your documents if you’re working digitally. Lastly, I would highly recommend getting involved with online discussion boards involving world building. It is a true hobby for many people, and they have volumes of ideas that go beyond a few pages of a blog from weather patterns to effects of geographical phenomena to alternative politics. They can also be your inspirational mentor when you need to rediscover your drive you had at the beginning. Know that this project is not something you should expect to be done in a weekend or a month. Understand it is a hobby like playing golf, cycling, video games, or photography and that it’s always available and not needing to be done right this instant. This is a journey that you are supposed to enjoy. Otherwise the concept would not have sparked you brightly enough to pick up the pen and jot down the notion of creating a world or a galaxy. So far, your character creation is going well. You’ve served two terms in the Navy and gained considerably solid skills in electronics and engineering. Enough is enough you say and are ready to begin your career as an adventurer, but the Navy may have other plans in mind. You successfully rolled for reenlistment back into the Navy for a 3rd term, and now you begin pressing your luck on surviving during just the character’s creation process. You must roll a 5 or better on a 2D6 in order for your character to make it through the 3rd term, add +1 to your roll…..oh, I’m sorry, this is perhaps the worst time for you to roll a 2. The trash can for that character is over there in the corner. Junior Cadet Hendrix was KIA while trying to get through his 10th year in the Navy. 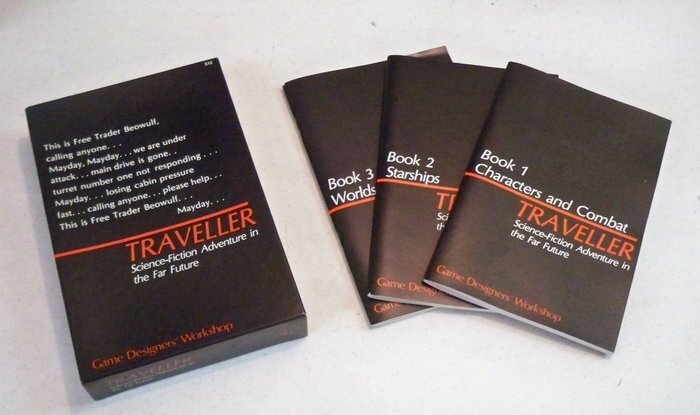 Back in the 1970s, a staple in sci-fi RPGs was released, simply called Traveller. Originally published as small, Reader’s Digest-style booklets, Traveller gave gamers a look into roleplaying games set in deep space. There were three booklets initially. The first covered the famous character creation process and how to handle combat (which is surprisingly light), the second booklet covered just Starships, and the final book dealt with the understanding of various worlds, world building, and adventures. These three simple books contained tremendous amount of information for being so light and easy to read. They brought about a new concept as an alternative to how Dungeons & Dragons was playing at the time (1st Edition AD&D was released the same year). Along with an introductory booklet, Game Designers Workshop eventually would produce a total of 9 of these basic core booklets that expanded on various areas such as mercenaries, robots, and naval personnel. Beyond the initial 9, GDW created 13 supplemental books that further detailed the game through GM assistance articles such as information on animal encounters, aliens, new ships, and further campaign setting aid. The 9 books combined for a staggering 456 pages (albeit measuring in at 5.5 x 8.75”) while the 13 supplement books totaled 604. 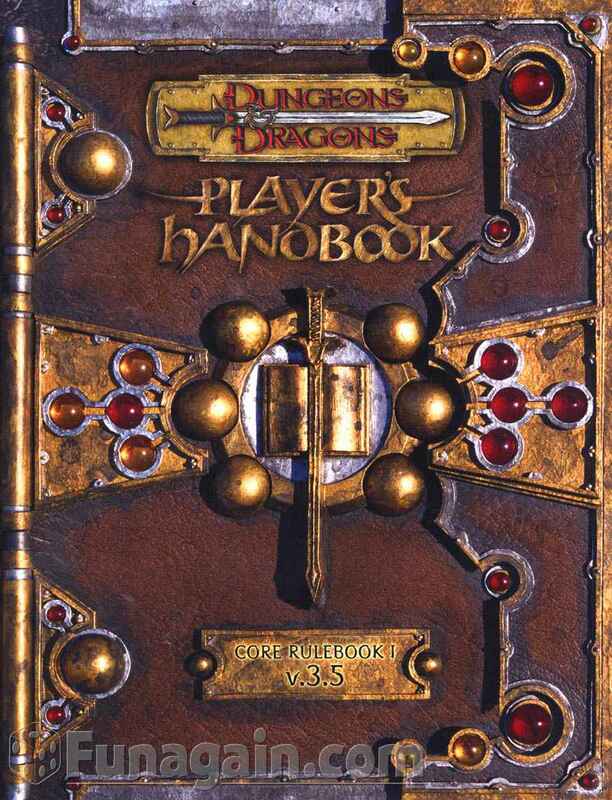 Although sizably impressive, GDW would also produce a hardback version of the three “little black books” along with two adventures and some added material that spanned out to a couple hundred pages and could be comparable to the thickness of the 1st edition AD&D Player’s Handbook. But what was inside of the books? The most notable feature Traveller offered, without a doubt, was its character creation. I have yet to find another rule system that comes close to how Traveller made characters. In similar fashion to the trend at the time, when you rolled up characters, you referred to charts. Lots of them. You would take over a character for your adventure after the character went through a previous career either in the military, merchants, scouts, or as a criminal. Unlike most systems, you didn’t get to choose which. Instead you selected one of the fields that interested you and rolled for a target number to successfully become enlisted. If you failed, you then randomly rolled a d6 to end up in any of them, which could be the one you originally wanted. Despite becoming, say, a Marine, it didn’t mean you were going to play a Marine. It just explains what you were before embarking on your adventures. This enlistment locked your character in a 4-year span with whatever you landed on. Yes, your character would automatically age 4 years from 18. The second step was to determine if you even survived the full 4 years or if you freaking died. That’s right. Your character, before you ever get a chance to roleplay the guy, could be dead and worthless. If this happens, your character is gone and you have to start over again. And if that wasn’t brutal enough, if you did survive the 4 years, you were forced to roll to see if you were re-enlisted by the service even if you didn’t want to. That seems unfair, but thus the life of military, traders, and crime. So what was the benefit of continuing on to a second, third, and more terms? The perks were what fleshed out your character that comprised of things you would come to expect in making a character. You would get various skills and attribute increases as you progressed such as a rapier, piloting a ship, bribing an officer, or gambling. 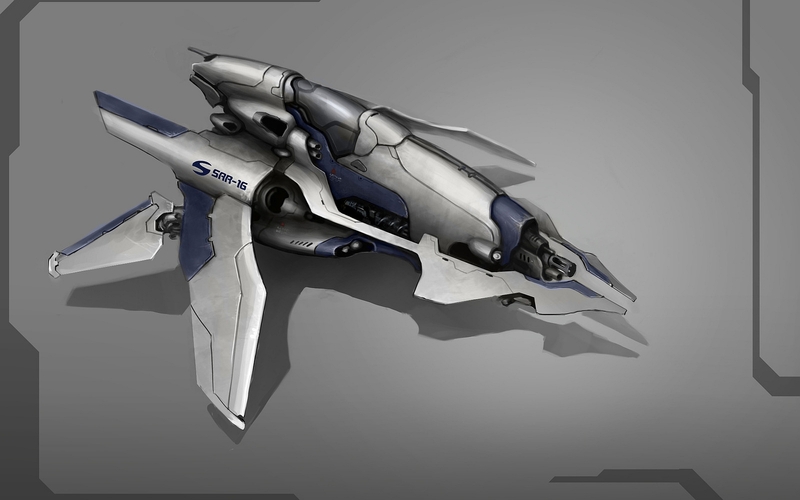 Promotion is also a possibility since the game is heavily inspired by military practices. Again, a successful roll of a certain number gets you that sweet, sweet promotion that will eventually yield you better retirement perks (if you make it that far). Generally character creation, or at least the danger of dying, ends when you fail your check to be re-enlisted. At that point, you can enjoy rolling more charts to acquire your gear, skills, retirement pensions, and various other perks that make your life a little less stressful in the future. The process is a guts check. Just how lucky do you think you are? How far do you want to push your character before he is ready to set out? The farther you push, the more benefits you will receive, the more skills you will acquire….but….the older your get. Remember I said a term is 4 years earlier, and you keep track of your age as you progress in creation. Sure you can go 7 terms, but your character will be 46 years old starting out. As you would suspect, age will have its consequences, and you must roll to avoid physical deterioration in the form of lowering your attribute numbers. All of this is determined by dice rolling, which some people may feel constricted with the lack of creative license. However, everything is laid out in black & white and requires little understanding, which favors new roleplayers. It yields a high risk, high reward mentality, which gives a great understanding of how brutal the actual game is because the game can be rough. It’s not a casual game system where you have multiple saving throws to avoid certain death. In Traveller, you are mere mortals in a dangerous, unknown galaxy where every encounter could easily be your last. It demands focus, teamwork, selflessness, and creativity. However, the choices are limitless in a vast space filled with hundreds of planets to explore and people to meet. Everything is run on simply a 2D6 roll with various modifiers the GM comes up with either considering the character’s skill level or situational modifiers typical to any rule system such as terrain, mobility, opposition, etc. Traveller comes in various editions including Mongoose Publishing. If you are more into the classics, Wayne’s Books sells the reprints of the classic 9 books and 13 supplements for only a couple of dollars each and is well worth it. If you’re curious, pick up Book 1 for $3.99 on Amazon and see if the technical side appeals to you. 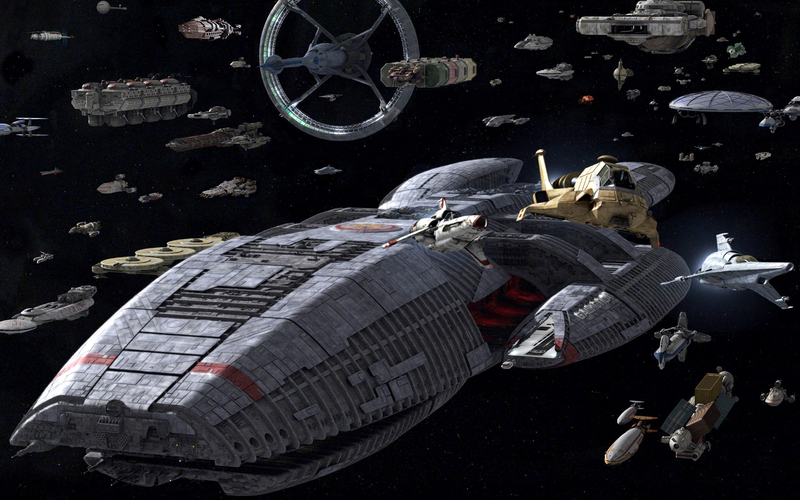 There are far more areas the game focuses on including Book 2, which is a very enjoyable, in depth creation system of your very own starship down to how many cargo bays you can fit on your deck plan and still have room for your pulse canons. If you’re looking to give the sword and shield a rest and pick up a laser pistol, Traveller may be a good start. You reach up to grab the flying Roc who is passing over your head, rolling for acrobatics….er…dexterity. Acrobatics was removed in this edition. You roll for damage with your longsword+1 that’s right. Numerically magic items are no longer in this edition either. So just add your strength modifier to the roll. What’s that? Oh now it’s just a fixed amount depending if you have a strength score over a certain number. I’m pretty sure that’s what the rules says. *sigh* Hold on, let me look it up. 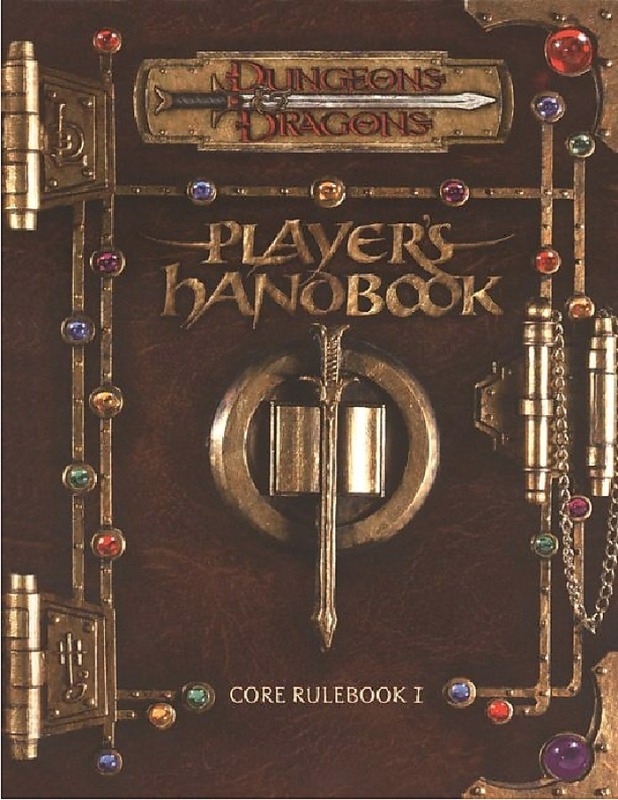 Roleplaying editions are always going to happen both from a financial and efficient point of view. No one can expect to make one set of rules and expect to make money off the series indefinitely. Even if you saturate the market with supplemental material such as adventure modules, campaign settings, and new rule addendums, sooner or later it’s going to dry up. So new editions have to come out. Some companies enjoy making their old systems “obsolete” while others add an insert into the book that assists GMs on converting the rules over, which can be a chore if you have dozens of books on the shelf unless it can be done quick and easy on the fly. Older materials are never truly obsolete. It may be out of print, more expensive through resellers, or harder to find, but if you invested in all of those old edition books, you have more than enough material to run an effective campaign. Yes, if you want the newer rules system you will have to “rebuy” all of the books that you essentially already own, but what is the difference between doing that and buying an entirely different system from another publisher? One could argue that many editions are very similar to each other with only a few updated rules that look more appealing but are not enough to justify a rebuy of the lot. 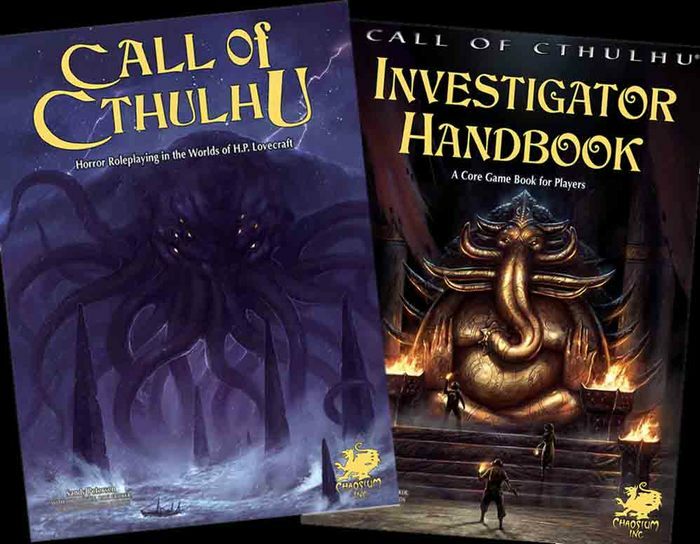 One in particular is one of my favorite roleplaying systems, Call of Cthulhu. 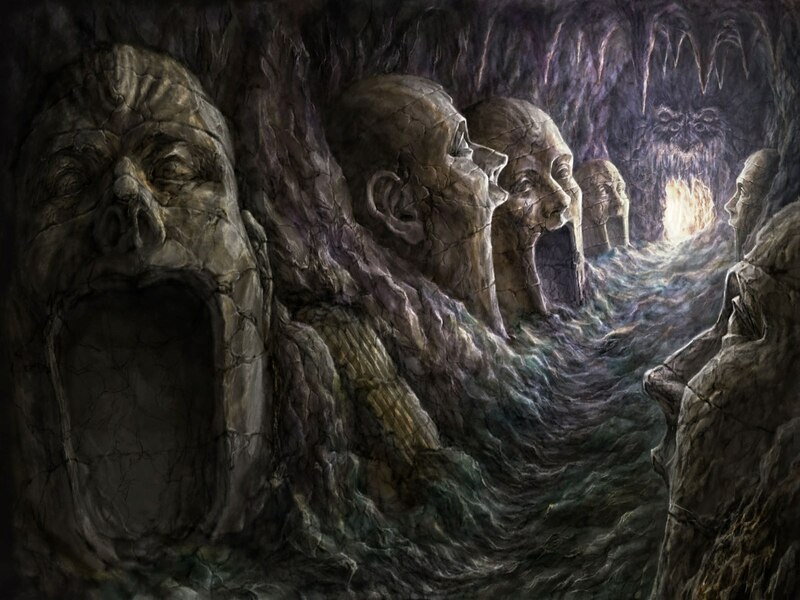 CoC came about back in the 80s based off the series of books and short stories by H. P. Lovecraft who wrote from about the 1910s to 1940s focusing on unknown horrors and cosmic fear. The RPG that came about from the publisher Chaosium has now witnessed the passing of 7 editions of the system. However, the core concept of the rules has remained fairly consistent throughout the years with just enough change to make it curiously more appealing than the last. Typically it is not necessary to purchase more than one edition of this system in order to enjoy the initial purpose of the game. Instead the new editions are a combination of occurring when the previous series is close to running out of prints and when the publisher feels a new edition might attract newcomers to the game. However, not all moments in new editions are truly justifiable. When the 3rd edition of Dungeons & Dragons was released in 2000, many gamers enjoyed the new concept of the classic game since the previous edition back in 1989. It was a surge for the game system to both revitalize the industry and to assure the company would avoid bankruptcy. Unfortunately, back in 1997, when the publisher TSR was facing imminent Chapter 11, Wizards of the Coast, most famous for the creation of Magic: the Gathering, bought out TSR with dreams of capitalizing even more money. Ironically enough, their card game has made far more revenue than all of the editions they have produced combined. The unfortunate situation came about just 3 years after their production of 3rd edition was released when they released a ½ edition, which as far as I know has almost never happened in publication. With the release of 3.5, the changes to the system were minor yet a few significant changes made for considerably more arguments and confusion as to whether a rule was from 3.0 or 3.5 editions. The ½ edition was released in hardback and sold for the same amount as the three core books of 3rd edition. This naturally sparked a lot of outrage among gamers after having invested in a system that really felt that it was obsolete at the time. The truth in this statement was, unlike other editions that simply run its course, 3rd edition had barely been out with minimal supplemental material before a new edition was released that improved on several rule choices. Keep in mind that the distance between 2nd and 3rd edition as 11 years, Wizards of the Coast produced 3.5 in 2003, 4th edition in 2008 (only 5 years later), and their latest 5th edition released in 2014 (6 years later). In the course of 14 years, 4 separate editions have been released. However, they are not the only system to have produced numerous editions in a short amount of time. 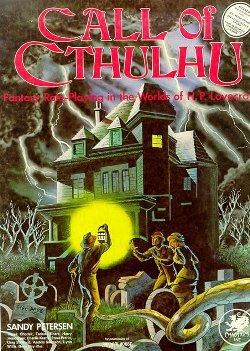 Call of Cthulhu first released their game in 1981, which followed with a 2nd edition in 1983, 3rd in 1986, 4th edition in 1989, 5th in 1992, a few ½ editions around 2000, 6th in 2004, and the most recent 7th edition in 2014. Oddly enough, as Chaosium makes later editions, the distance between each one has steadily increased. Personally, I am a sucker for some rule systems that I will invest in each edition for the shelf collection if I particularly enjoy the system (or it just looks good on the shelf). Paizo’s Pathfinder has a nice, consistent production line in their layout, which does look attractive when laid together. However, it is completely absurd to become irate at a company for producing a new edition “too soon.” when what you have is ample enough to run an efficient and enjoyable game. Even if you just have the core books for 3.0 D&D, if you enjoy the game and the rules fit your style of play, then use them and ignore 3.5. If one of your players is insisting you, as a GM, adapt to 3.5 or another rule system, keep an open mind and offer to read into it as long as they loan the material to you. There is no sense in you investing into a product you aren’t 100% interested in only to satisfy a player or two. Also keep in mind that many conventions and gaming stores will lower the price of previous rule systems when newer ones are released, especially if they were not very popular. I’m currently re-reading the rules of what is now referred to as Classic Traveller although it is simply the first edition published back in 1977. While there are numerous newer editions available, one especially from Mongoose Publishing, I find the original as my personal favorite. Should I update to the latest Traveller5? Of course, not. I don’t find my current edition superior, but I enjoy the structure of the system and probably a bit of nostalgia as well. Find an edition you enjoy, and don’t succumb to the temptations of a new edition just because it’s shiny and new.